Are you eager to quickly master key watercolor techniques? Have you wanted to improve your watercolor skills, but find yourself frustrated with your slow progress over the years? This unique workshop is carefully designed to cover all important watercolor techniques and design components in just 3 days and is designed to help you make a huge leap from where you are today. Each day of the workshop, we will be focusing on ONE key area of techniques, then will continue adding new techniques and design elements to progress into the next day. In just 3 days, you will be able to master all watercolor key techniques, confidently design, and create your own master pieces! Award–winning artist, Shuang Li, will be presentinga watercolor workshop in Folsom, California. Shuang Li has a unique style and is a superb instructor. During this 3-day workshop, Shuang Li will demonstrate techniques for creating your very own masterpiece. All levels welcome! Shuang Li was born and raised in China. 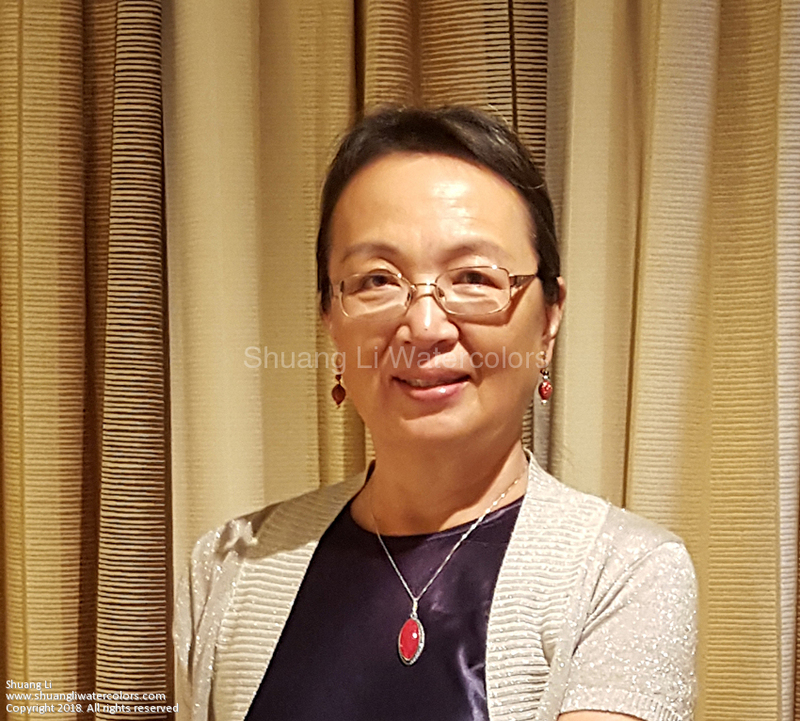 Shuang Li received her BA Degree in Graphic Design and Master Degree in Art History and taught at Academy of Arts and Design at Tsinghua University in Beijing, China before moving to the United States. Shuang then received her MFA (Master of Fine Art) Degree from The Department of Art, University of Oregon in 1991. Though trained as a graphic designer, Shuang has been solely focusing on painting watercolor for more than a decade. Her watercolor landscapes are in rich colors with poetic atmosphere, shows strong influences from both traditional Impressionism and late 19th century American artists, such as John Singer Sargent and Winslow Homer. Visit Shuang's website to learn more: shuangliwatercolors.com. REGISTER for the Shuang Li Watercolor Workshop (Folsom CA) by submitting the fill-out form below. No refunds after July 17, 2016.